“Kabbalah Me” (2014). Cast: Steven E. Bram, Miriam Bram, Rabbi Stuart Shiff, Dr. Jane Bram, William Bram, Rabbi Adam Jacobs, Rabbi Robert Levine, Rabbi David Ingber, Rabbi Beryl Epstein, Rabbi Chaim Miller, Shannan Catlett, Elchonon Kranz, Rabbi Avraham Sutton, Rabbi Efim Svirsky, The Skolyia Rebbe, Bob Potter, Rabbi Yitzchak Schwartz, Rabbi Tzadok Cable, Rabbi Yom Tov Glaser, Rabbi David Aaron, Rabbi Adam Sinay, David Friedman, Benzion Eliyahu Lehrer, Yehudit Goldfarb. Directors: Steven E. Bram and Judah Lazarus. Screenplay: Steven E. Bram, Judah Lazarus and Adam Zucker. Story: Steven E. Bram and Rabbi Adam Jacobs. Web site. Trailer. For years, New York-based filmmaker Steven E. Bram felt something was missing from his life. Though he was materially successful and a happily married father of two, he had an uneasy sense that his existence came up short somehow. To compensate, he pursued a variety of “experiences,” from going to Grateful Dead concerts to skydiving to devotedly following the New York Jets, all in hopes of attaining some sort of meaning. But the enlightenment he sought always seemed to elude him. And then, in the wake of 9/11 (which impacted him personally) and with his 50th birthday looming, Steven’s longing to resolve that nagging, nebulous emptiness grew ever stronger. But how? Interestingly, the process began somewhat innocuously at an unlikely location. While attending a sporting event at New York’s Madison Square Garden, Bram spoke about his quest with a friend, who recommended someone who might be able to help, Rabbi Stuart Shiff. The suggestion surprised Bram, but it also piqued his interest, for, even though Steven grew up in a Jewish household, his connection to his heritage was primarily secular, not religious. But, with no other option readily available to him, he decided to give it a try. Rabbi Shiff advised Bram that he should look into Kabbalah, the study of Jewish mysticism, a topic about which he (like many of his peers) knew virtually nothing. In fact, about all he knew was that it was a discipline that had been popularized by a number of celebrities in recent years (most notably Madonna). However, the more the rabbi spoke about it, the more intrigued Bram became. Rabbi Shiff recommended that Steven meet with Rabbi Adam Jacobs, a Kabbalah instructor and managing director of the New York Aish Center, for more information. And, after meeting with Rabbi Jacobs, Bram was off and running. Jacobs recommended that Bram meet with members of New York’s orthodox Jewish community to learn more. This included meetings with orthodox relatives whom Steven knew of but had never met, as well as visits to the facilities of Kabbalah-related organizations. And the more he learned about the subject, the more he could see there were no easy answers when it came to understanding it. An ancient Torah, as seen in the engaging documentary, “Kabbalah Me.” Photo courtesy of First Run Features. Why the complexity? In large part, it stemmed from the fact that experts on the subject had widely divergent views about what constitutes Kabbalah. To begin with, most followers fall into one of two principal camps. For some, Kabbalah is an intrinsic aspect of the religion with which it’s associated (even if many of the faith’s practitioners are themselves unfamiliar with it). 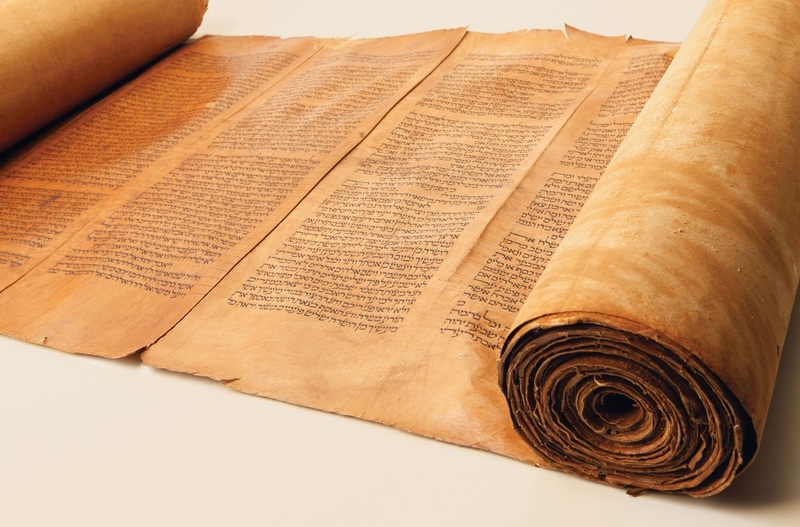 For others, however, it’s a philosophy all its own that can be readily separated from its theological roots and studied independently, regardless of whether one is Jewish. So, based on this fundamental distinction alone, it’s easy to see how someone could easily become confused about the subject. But, in light of the many elements the discipline embodies, the study of Kabbalah is a lot to take in, especially for someone just starting out with it. To find the right fit, Steven chose to investigate both of the foregoing approaches. With regard to Kabbalah as a purely philosophical pursuit, he visited New York’s Kabbalah Centre, an organization offering study of the subject regardless of religious affiliation. Ironically enough, he also conversed with several rabbis, such as Rabbi Yitzchak Schwartz, a former Texas cowboy-turned-Kabbalah teacher, who urges the curious to take up their study of the subject even if they aren’t interested in adopting the related theological practices. By contrast, Bram also investigated Kabbalah-related organizations and events that fully embrace the discipline’s religious aspects. This included visiting traditional Jewish bookstores, festivals and study centers in Brooklyn and attending a gathering of about 100,000 orthodox seekers at New Jersey’s MetLife Stadium. He also looked into some of Judaism’s time-honored practices, like keeping kosher. 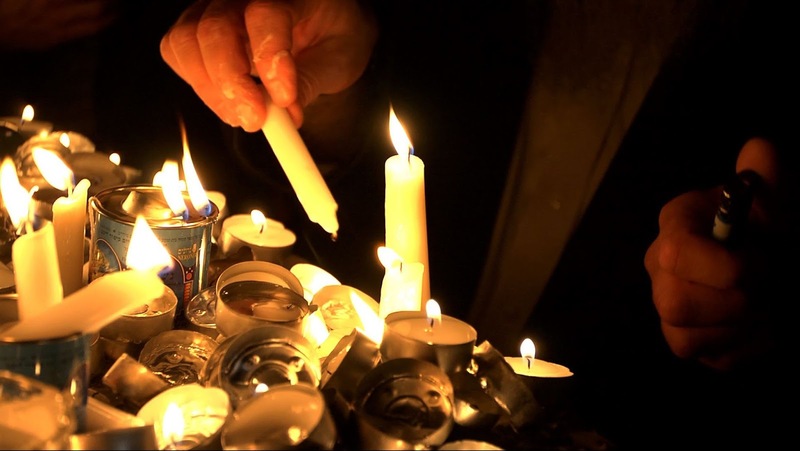 The act of lighting candles in a Kabbalah ceremony, as seen in filmmaker Steven E. Bram’s documentary, “Kabbalah Me.” Photo courtesy of First Run Features. Bram’s decision to examine both approaches was important for reasons other than keeping an open mind; he also had his marriage and family to consider. Even though Steven and his wife Miriam were married in a synagogue, the couple had never practiced the rituals and traditions of their faith. Miriam, in fact, was a student of Buddhism and a yoga practitioner, but her interest in these matters was primarily spiritual, not religious. Consequently, she was concerned about the direction Steven’s quest would take. While she applauded his desire to find meaning, she wasn’t interested in joining him if he were to become religiously observant. She openly and candidly wondered what impact such a move might have on their marriage and in their role as parents, so Steven had to balance these considerations while pursuing the fulfillment of his own needs. After investigating all of the resources New York had to offer, Steven still felt unfulfilled. He decided that, if he were to really find out everything Kabbalah had to offer, he needed to immerse himself in it, to visit where it all began – Israel. And so, with a list of recommended sites and contacts in hand, he traveled to the Holy Land, visiting the Sea of Galilee, the Kabbalah center of Tzfat, a joyous Kabbalah celebration in Meron and Jerusalem’s Western Wall. He met and spoke with Kabbalah instructors and practitioners from all walks of life, in addition to dancing, praying and taking ritualistic baths (mikvahs). 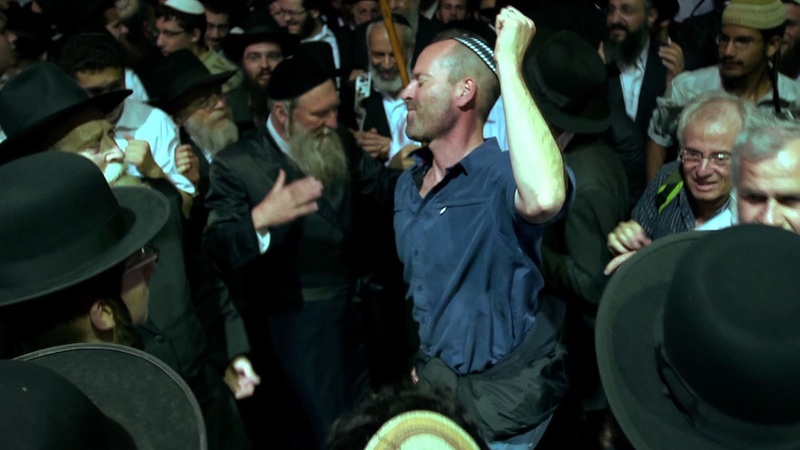 Filmmaker Steven E. Bram (center) dances with orthodox Jewish men while on a pilgrimage to Israel, as depicted in the director’s documentary, “Kabbalah Me.” Photo courtesy of First Run Features. 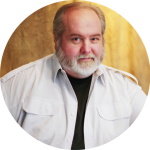 As Steven engaged in this spiritual odyssey, both at home and overseas, friends began to question his actions and motives. Some even thought he went over the deep end and joined a cult. But, thanks to this journey, he emerged a changed person with a renewed outlook on life. The meaning that had always seemed to escape him no longer seemed so elusive. And he had Kabbalah to thank for it. Kabbalah, like conscious creation, is a journey of personal discovery. Just as conscious creation urges us to comprehend the beliefs that manifest our respective realities, Kabbalah likewise encourages its followers to look for meaning in their lives. Specifically, Kabbalah prompts the search for what one’s existence is all about and what holds it together. This requires finding an expanded sense of consciousness and connection on a deeper, soul level. It involves looking inward, into the same realm where our beliefs – the drivers of conscious creation – reside and, consequently, coming to understand those intents and their ramifications. Our acknowledgment and comprehension of those beliefs bring to us a greater overall awareness, and the more receptive we are to it, the more we get out of it. In that sense, conscious creation, like Kabbalah, is an act of receiving knowledge, an acceptance of our true selves and how that’s reflected in the reality we experience. In fact, the word “Kabbalah,” which means “receiving,” embodies that very notion in its name. One must change the inside to change the outside. The aim in both disciplines is to learn about where we’re coming from. Conscious creators call this understanding our beliefs, while Kabbalists refer to it as learning the language of the heart, but, in both cases, the process is essentially the same. And, if we’re intent on bettering our existences, this is where we must start, regardless of which practice we employ. Implementing change calls for executing shifts in consciousness (or altering our beliefs), a process that requires us to be honest with ourselves. It may take time – perhaps even an entire lifetime – to get results. In many ways, both disciplines involve an evolutionary process (what conscious creators would call “a constant state of becoming”), with the end of each “chapter” marking the beginning of a new one (and, one would hope, one that reflects the materialization of those hoped-for changes). Kabbalah can be applied in many different ways. Just as conscious creation can be employed to any endeavor, so, too, can Kabbalah. In fact, the film illustrates this, showing how it can be applied in such diverse pursuits as art, meditation, and healing and nutrition. But, then, that shouldn’t come as any surprise, since all of those undertakings are outer expressions of our inner world. Kaballah involves finding a balance between our internal and external lives, harmonizing “flow” and “structure” (i.e., consciousness and manifestation). In one of Bram’s more engaging conversations, he discusses the significance of this principle with Rabbi Yom Tov Glaser, also known as “the surfing rabbi.” As an avid fan of riding the waves, Glaser waxes philosophically about his passion and how it – like any venture pursued through Kabbalah – calls for its practitioners to make use of this concept. “Flow” represents the unimpeded stream of consciousness from our inner selves into the outer world, while “structure” accounts for the physically manifested shape it takes in external reality. To put this idea into context, Glaser offers an excellent analogy. He asks viewers to think of the ocean: This vast body of water, with its myriad ebbs and currents, symbolizes our consciousness (flow), while the shoreline, with its inherent defining effect, represents the concept of manifestation by giving shape (structure) to the ocean. The potential is thus made manifest as the tangible. Again, this is a notion that can be employed in virtually any aspect of life through Kaballah. Or, as another of Bram’s interview subjects puts it, the purpose behind this practice is “ending in actuality, not theory,” no matter how it is applied. Kaballah requires us to become reacquainted with our intrinsic sense of connection. This is crucial, because it’s something many of us have fundamentally forgotten. The problem is that we have allowed ourselves to become held hostage by our ego selves, our sense of “I,” so much so that we often fail to recognize our connection to our larger, expanded selves. However, this sense of separation must be dispensed with if we are ever to rediscover our lost sense of connection. This is one of several significant misunderstandings of the Universe that we must cope with if we ever hope to get ourselves back on track. 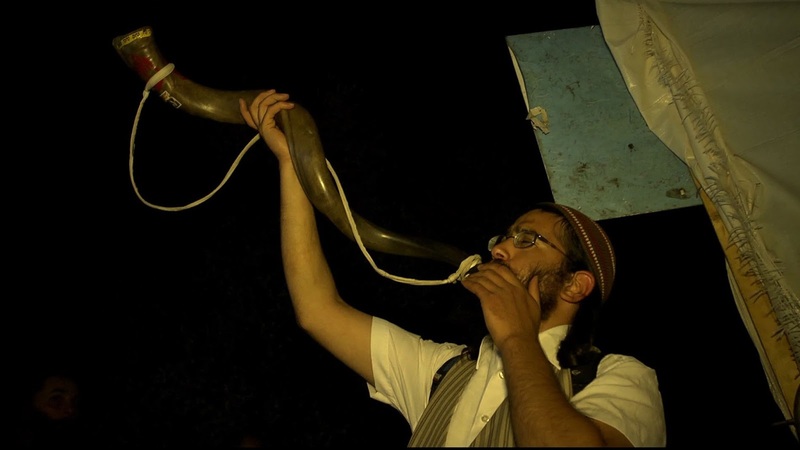 A man blows a ceremonial horn known as a shofar, as seen in the documentary, “Kabbalah Me.” Photo courtesy of First Run Features. Of course, Kaballah’s similarities to its contemporary metaphysical cousin don’t end there. It also deals with such familiar conscious creation concepts as choice and free will, living in the present moment (and not worrying about tomorrow), living in community and not just individually (the impact of co-created mass events), figuring out the reasons for things (understanding our manifesting beliefs), becoming aware of the qualities of our greater existence (including the existence of such attributes as different dimensions, reincarnation and “soul fragments”), and so on. In fact, in light of all this, then one might successfully argue that conscious creation, at its core, is little more than a modern restatement of this time-honored philosophy. Considering how long Kaballah has been around, and given the relative obscurity to which it had been relegated for so long, one might wonder why it’s experiencing such a resurgence at the moment. But, to answer that, one need only look at Bram’s own experience. As someone in middle life looking for the meaning that has long been missing from it, combined with the tremendous emotional impact of the 9/11 tragedy, it’s not surprising that something seemingly capable of filling that void would hold enormous appeal. This is especially true in a world beset by as many challenges as we’re experiencing currently, both individually and collectively. For many of us, everyday existence often seems like more than we can bear. But, as several of the film’s interview subjects observe, “every light is preceded by a darkness, and the greater the darkness, the greater the shift that will come from it.” Some even contend that we’re now in the time of the “Double Darkness,” where it’s so dark we don’t even realize it’s dark. Perhaps that’s why so many Kabbalah seekers have come along now – to collectively implement the Tikkun – the “rectification” – to address these issues. We can only hope. 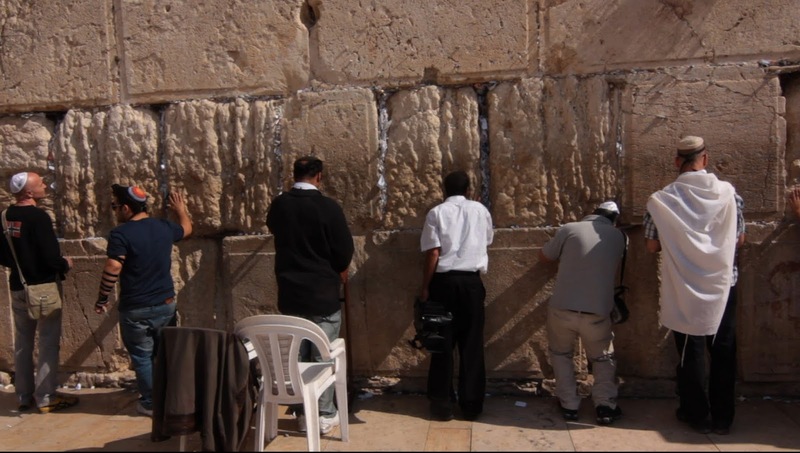 Pilgrims pray at Jerusalem’s sacred Western Wall, as depicted in the documentary, “Kabbalah Me.” Photo courtesy of First Run Features. For those seeking answers to life’s questions, “Kaballah Me” may offer just the ticket they’re looking for. 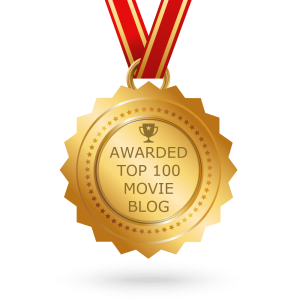 The film presents its material in a clear, concise, easily understood manner, with a highly personalized approach, taking lofty notions and bringing them down to a readily accessible level (kind of like what Kaballah itself is intended to do). It also infuses a great deal of humor and heartfelt emotion in taking viewers to its ultimate destination, providing a fun-loving ride for the journey. Think of it as an entertaining philosophical travelogue, and you get the idea. In addition to the main film, the DVD includes an excellent selection of bonus features. Through a series of short vignettes, viewers are treated to additional material covering a variety of intriguing subjects, such as Kaballah’s relation to (and interpretation of) oneness, science, and good and evil. There is also a segment on the role of women in Kabbalah, extended footage of the Kabbalah celebration in Meron and a moving meditation on opening the heart. As every architect knows, a good blueprint is essential to erect a sturdy, properly functioning finished structure. Unfortunately, many of us haven’t done the same for ourselves in building the structures of our lives. Taking such a haphazard approach has often left us to construct the frames of our lives without direction, purpose or clarity. But, with the aid of the ancient wisdom of Kaballah (and its contemporary counterpart), we have an opportunity to create an existence characterized by satisfaction, joy and fulfillment. So go grab that metaphysical tool belt – and get to work.  Copyright © 2015-2016, by Brent Marchant. All rights reserved.